Wirehouse Merrill Lynch Wealth Management must fend off a widow in a legal battle. According to a lawsuit the Westport, Conn. widow filed in July, the wirehouse’s advisors said that they couldn’t locate an executed transfer on death (TOD) agreement for one of her late husband’s accounts after he died. Prior to her husband’s death, however, Merrill Lynch had sent statements for the same account, which had more than $1 million in assets, indicating it was marked TOD and that it designated her as the sole beneficiary, according to widow’s lawsuit. Because of the discrepancy, Merrill Lynch failed to transfer all of the account’s assets to her, the widow alleges. 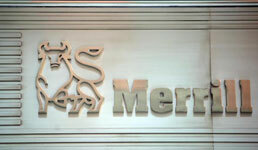 A Merrill Lynch spokesman said the firm would not comment on the litigation. At time of writing, the wirehouse had not yet filed an answer to the widow’s lawsuit. The dispute highlights the trickiness of executing effective TOD agreements at a time when more clients may be more intrigued by such arrangements, since they offer for many the potential of a hassle-free and probate-free route for getting assets distributed to heirs. The issue of executing TOD agreements properly arises more frequently these days because of changes to the tax rules governing inheritances. Recently increased federal estate tax exemptions allow for $11.2 million per individual and $22.4 million per couple in 2018. For many clients, those larger exemption allowances have rendered unnecessary the more expensive trust and complicated legal arrangements they might have considering using under prior IRS rules. With the previous lower federal exemption allowances (which were almost half of what’s allowed today) clients likely would have automatically opted to spare heirs from paying the IRS by creating trusts. But under the current rules TOD agreements often rank as a simpler and less expensive way to transfer assets upon death for clients who have assets below the exemption amounts, Moore says. That said, TOD agreements are far from simple to execute, says John Kincade, a shareholder at the law firm Winstead PC in Dallas, who typically represents wirehouses. He declines to comment on the specifics of the Merrill Lynch litigation, but notes “there is really not much a firm can do” if a client presumes a TOD agreement has been executed but it has not. He recommends advisors ask clients to send any estate planning-related documents, such as a TOD agreement, to an estate lawyer or a CPA. “It would be hard if it is just between the financial advisor, the firm and the client. It’s going to be hard for any one of them to get it right,” Kincade says generally about execution of TOD agreements. Executing an agreement can be tricky in part because a few states — including Texas and Louisiana — have still not enacted consistent laws that let securities be transferred upon death, according to the Uniform Law Commission, which tracks such trends. “I want to believe a well-informed person should be able to take care of their estate planning without incurring high legal fees,” says Cindy Brittain, a trusts and estates planning law partner in Los Angeles’ Katten Muchin Rosenman, who previously served as a senior fiduciary officer for Northern Trust. TOD agreements can be vehicles for people with assets under current limits to transfer assets without much fuss, she says. “If you get it right, it’s beautiful and elegant. But if you get it wrong, as you evolve into life and things happen, it’s a problem. You have to remember to follow the breadcrumbs,” Brittain says about TOD agreements. One potential hitch might arise because state courts have ruled that TOD agreements trump wills and pour-over trusts, she says. So a forgotten TOD agreement on an account may mean that assets don’t go to intended heirs, despite changes clients make to their will or trusts at a later stage in their lives, Brittain says. “Sometimes people do forget about what they have and then they don’t know what they don’t know,” she says. Sheryl Rowling, a principal of Rowling & Associates in San Diego, recommends many clients put assets in living, revocable trusts rather than relying on TOD agreements to transfer assets to heirs. “If their assets are material at all, I encourage people to get a trust. If they have an investment account, they should have a living trust,” Rowling argues. The cost differences are usually minimal between having estate and trusts attorneys draft a will and check TOD agreements, or alternatively asking them to establish a living, revocable trust, says Rowling, who is a CPA. “If you are going to pay an attorney to do a will, you might as well have them do a living trust,” she argues. When her clients do want to establish TOD agreements for accounts, Rowling appreciates that her independent firm has only a noncustodial role with her clients’ assets, since it is the custodian’s responsibility to verify TOD agreements’ effectiveness, she says. At Merrill Lynch, however, the financial advisors and the custodian of their clients’ assets share the same parent company. In the widow’s lawsuit against Merrill Lynch, she alleges that her husband died in February and then in June that year, after the wirehouse failed to transfer the proceeds of the disputed account to her, she filed a proof of claim in a state probate court. Then her husband’s other beneficiaries disputed her claim, basing their objections solely on the argument that “Merrill Lynch was supposedly not in possession” of the signed TOD agreement, the widow’s federal lawsuit states. Following mediation, the widow and the other beneficiaries settled and Merrill Lynch paid out $625,000 from the disputed account’s proceeds, the federal lawsuit states. That settlement also allowed the widow to continue to pursue a claim against Merrill Lynch for the balance of the account, the lawsuit states. With her federal filing, she is doing just that. Merrill Lynch still owes her $462,000 for that balance, in addition to attorney fees and interest, the widow’s lawsuit claims.